About Marian: Marian St.Clair is a freelance garden writer, photographer, and tour coordinator who nurtures an earth-friendly landscape in Greenville, South Carolina. She worked for the Greenville News for 16 years, contributing both feature articles and weekly columns until August 2018. Currently, she pens “A Carolina Gardener’s Story” for Carolina Gardener Magazine. Marian also writes a personal blog, Hortitopia, which shares news about her home garden, Upstate wildflower and waterfall hikes, and garden travels to England, France, Italy, and other destinations. As a gardening expert, Marian has been guest of Martha Stewart Radio and local media, and a presenter at symposia. In 2008, she was honored with a Gold Award by the Garden Writers Association. An enthusiastic and dedicated volunteer, Marian has been recognized for her efforts in gardening education by the South Carolina Wildlife Federation and the South Carolina Association of County Agricultural Agents. She is a teacher for the Greenville Master Gardener program and an active member of many service and philanthropic organizations, including the General Federation of Women’s Clubs, Carolina Foothills Garden Club, Greater Greenville Master Gardeners, Upstate Master Naturalists, and Greenville Women Giving. Currently living in Greenville, SC, Marian comes from Virginia and attended Virginia Tech. She is a Master Gardener, Master Naturalist, garden columnist, and garden tour coordinator, organizing trips to Europe and other areas of interest. Marian is a nationally known horticulture expert and garden blogger. This program is not-to-be-missed. All programs are open to the public unless otherwise noted. Guests are welcome and encouraged to join and/or make a donation. 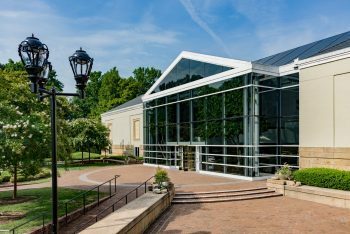 Meetings are held at the Mint Museum of Art, 2730 Randolph Rd., Charlotte, NC 28211 (click for map and directions). Refreshments are served at 6:30 p.m., programs are held from 7:15 p.m – 8:30 pm.